SEH can provide epi wafers specifically for discrete, bipolar and power MOSFET applications. Combinations of n-type and p-type epi layers and substrates are available for these device applications. 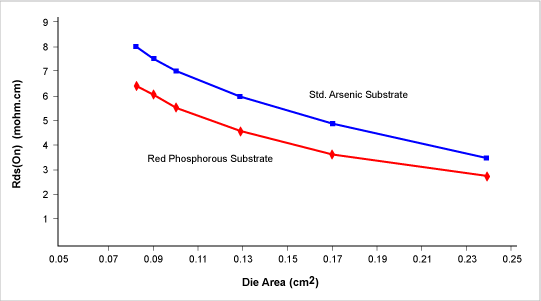 N+ substrates can be doped with phosphorus, antimony, arsenic. Red phosphorus substrates are available for Power MOSFET applications requiring very heavy doping to minimize Rds(On)*. The performance of MOSFET and/or the Schottkey rectifiers used in VRM's (Voltage Regulated Modules) is extremely dependent on the voltage drop across these devices, making the substrate resistivity of paramount importance. 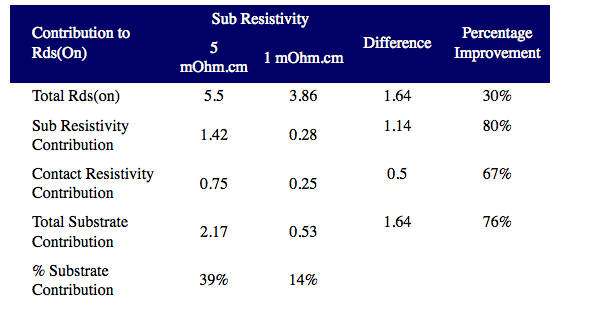 Achieving low Rds(On) by reducing substrate resistivity can eliminate the need to develop the next technology platform, and thus reduce cost and time to market. 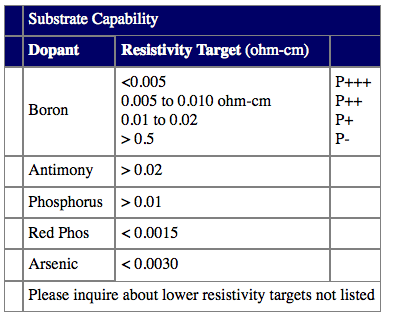 Very heavily doped boron substrates < 0.005 ohm-cm are also available. Thick epi films are available for high voltage applications and tight epi thickness and resistivity uniformity is available to control variation within wafer and from wafer-to-wafer. SEH takes advantage of the superior capabilities of single wafer epi reactors to meet the specifications required for this market segment. Epi films can be doped with phosphorus or boron. Wafers with two or three epi layers are also available for IGBT and other applications. * Rds(on) is the resistance between the drain and source of a forward-biased power MOSFET at a specified drain current and gate voltage.